I am currently in New Jersey on business. I went to my client's office on Friday August 4, 2006 but the person I was scheduled to meet with had taken a vacation day. So what's a guy like me supposed to do when he's only 30 miles from New York City and he's got a day off? Why, go hiking of course. 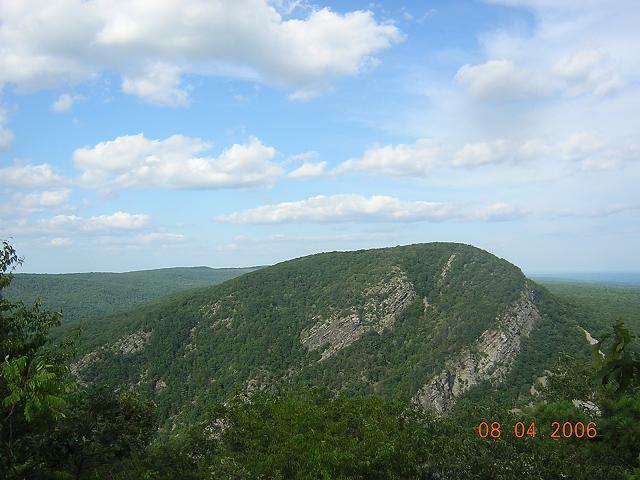 Yes, rather than head east to the Big Apple, I headed west to Delaware Water Gap in hopes of finding the Appalachian Trail. I stopped at the visitors' center on I-80 and asked about hiking trails in the area. The Mt. 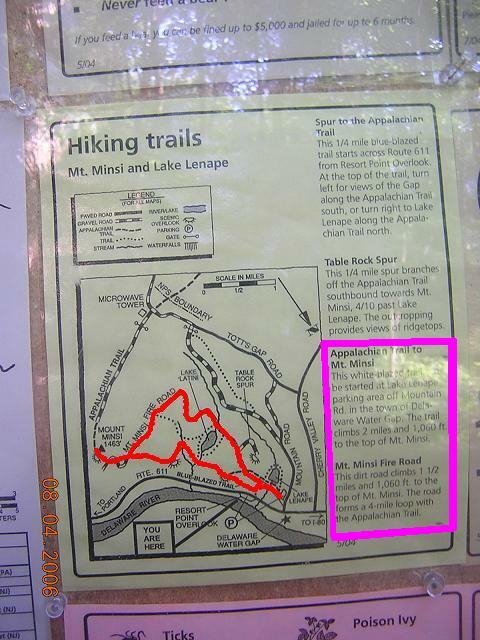 Minsi trail was recommended and that is the hike shown here. Round trip 4 miles. Short, but sweet. 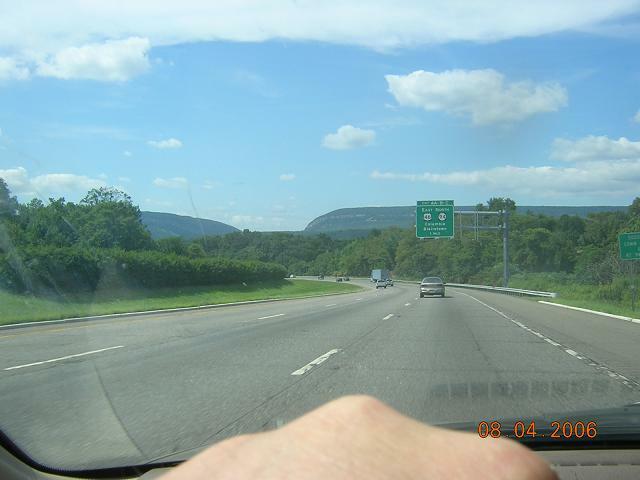 Approaching Delaware Water Gap from the east, the "Gap" is clearly visible. Driving westbound on I-80, Mt. Minsi is to my left. This map is on the bulletin board at the parking lot. My route is shown in red. 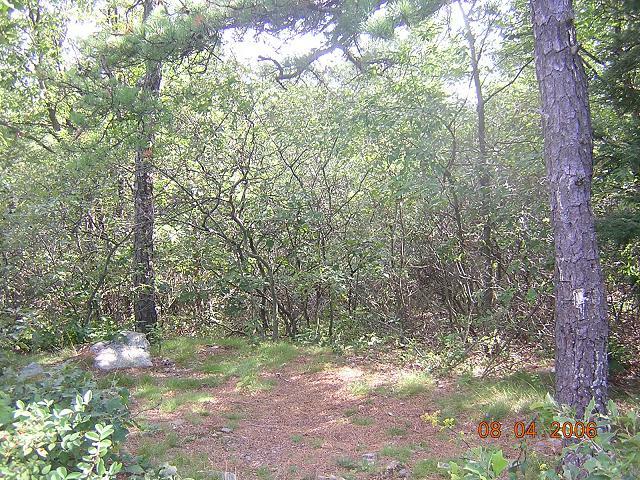 The text in the box reads "Appalachian Trail to Mt. 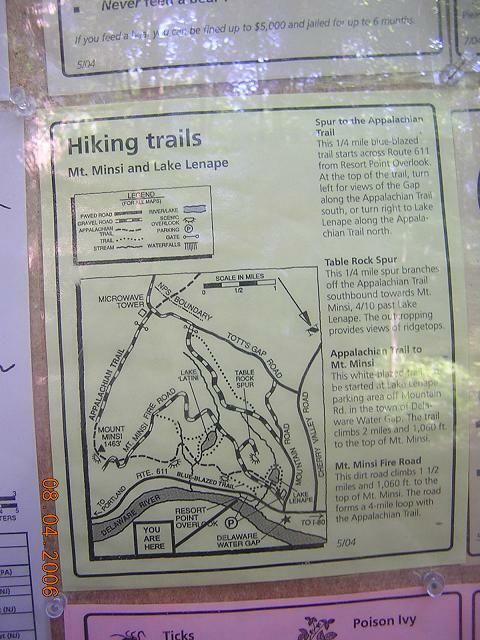 Minsi This white-blazed trail can be started at Lake Lenape parking area off Mountain Rt. 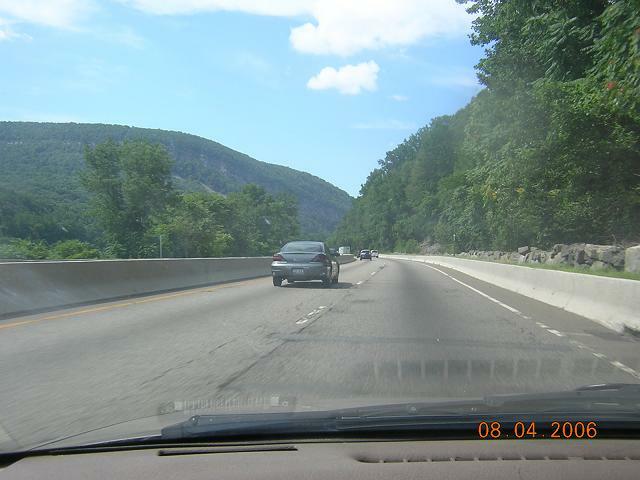 in the town of Delaware Water Gap. 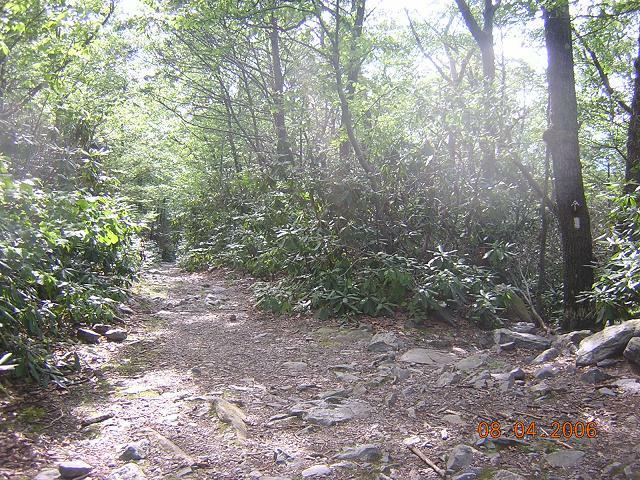 The trail climbs 2 miles and 1,060 ft. to the top of Mt. Minsi. Mt. Minsi Fire Road This dirt road climbs 1 1/2 miles and 1,060 ft. to the top of Mt. Minsi. 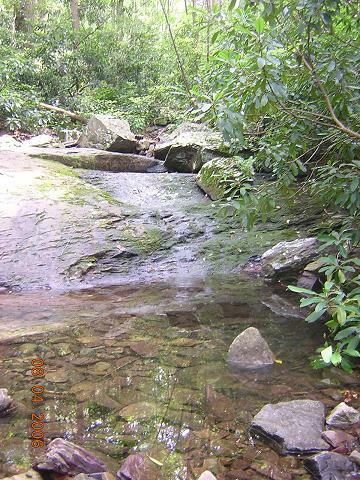 The road forms a 4-mile loop with the Appalachian Trail." 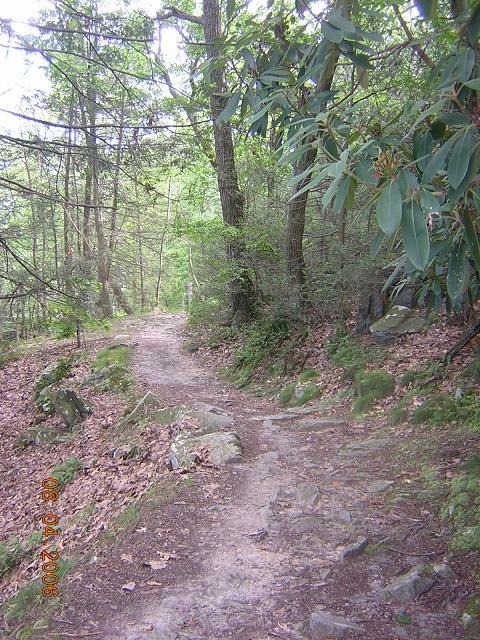 This is my first time on the Appalachian Trail. The locals probably take it for granted, but I am so excited to be here. I wonder how many people have walked where I am walking. 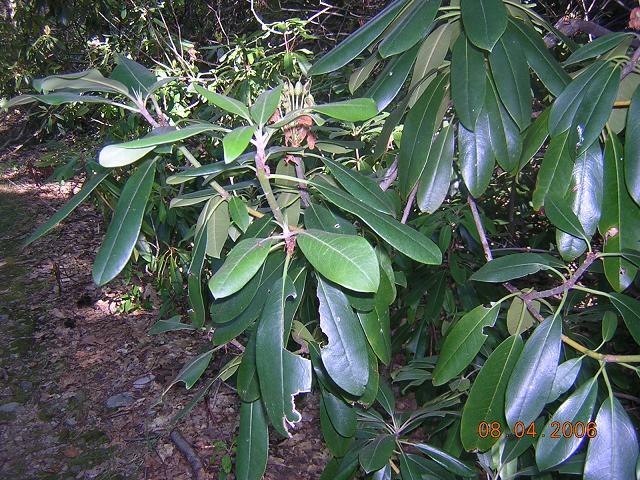 Eureka Creek. 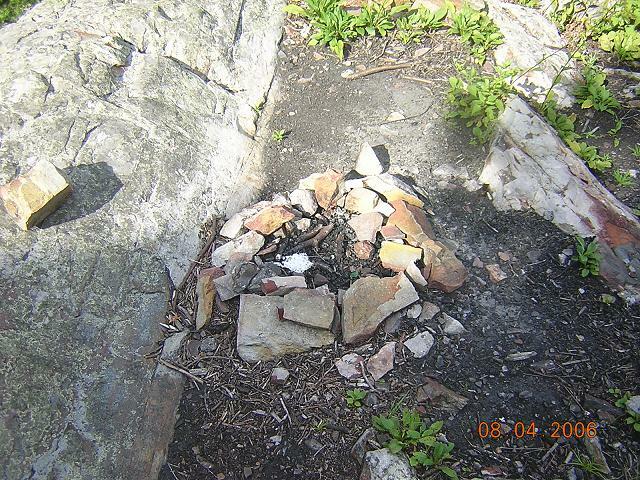 I know it sounds corny, but I wonder how many hikers have filled a water bottle here. 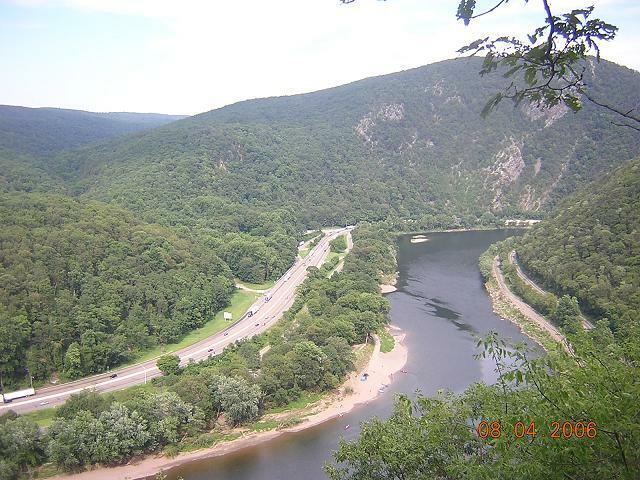 Kittatinny Point on the Delaware River as seen from Lookout Point. 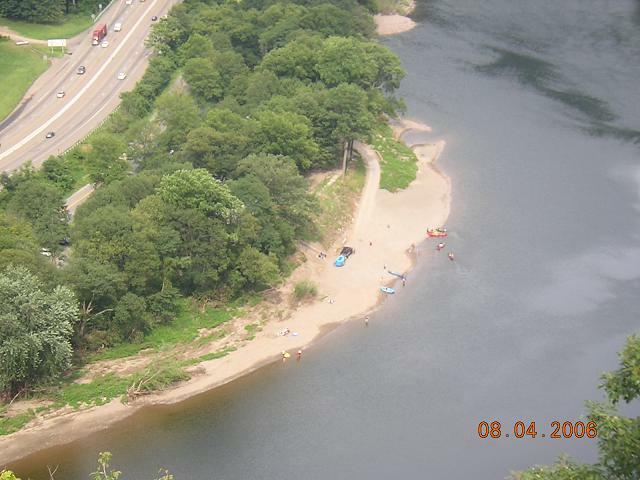 Kayakers at Kittatinny Point as seen from Lookout Point. I-80 as seen from Lookout Point. At this point the trail crosses the fire road (which is hardly a road.) 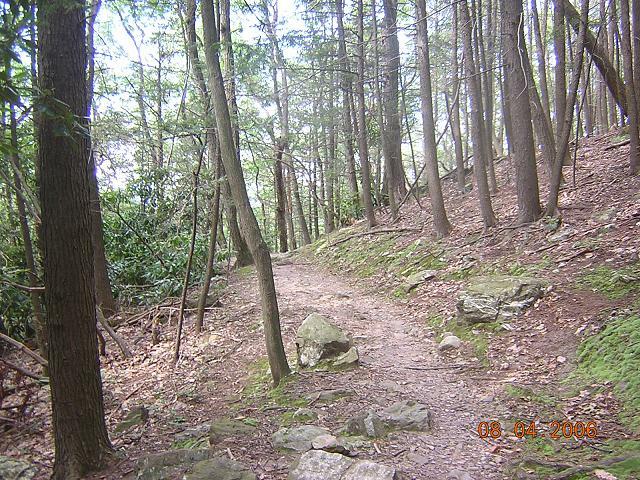 Note the AT sign and traditional white blaze on the tree marking the trail. OK, this sounds corny too, but I found this perfect campsite just a few yards from the summit of Mt. Minsi, and I made a mental note of it, hoping that someday I will camp here. Mt. 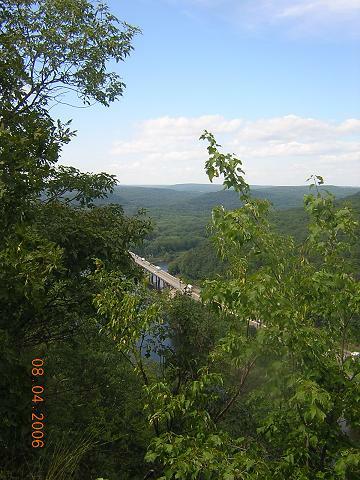 Tammany as seen from Mt. Minsi. I hope to climb that before I leave New Jersey. 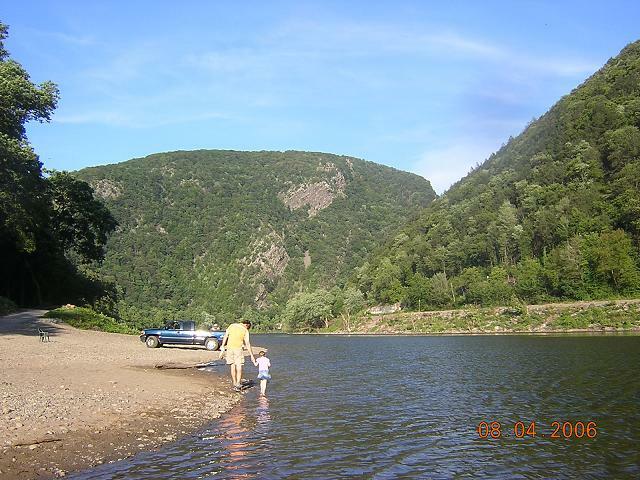 The Delaware River at Kittatinny Point, with Mt. Tammany in the background.